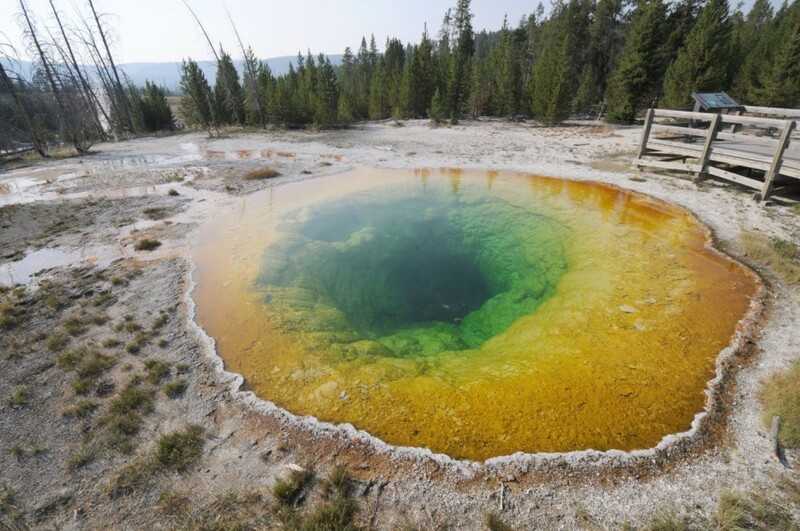 Yellowstone National Park's iconic thermal springs used to be a different color, before people started dropping their trash in it. Outside of Old Faithful, one of the most memorable sights of Yellowstone National Park is the beautiful thermal springs. 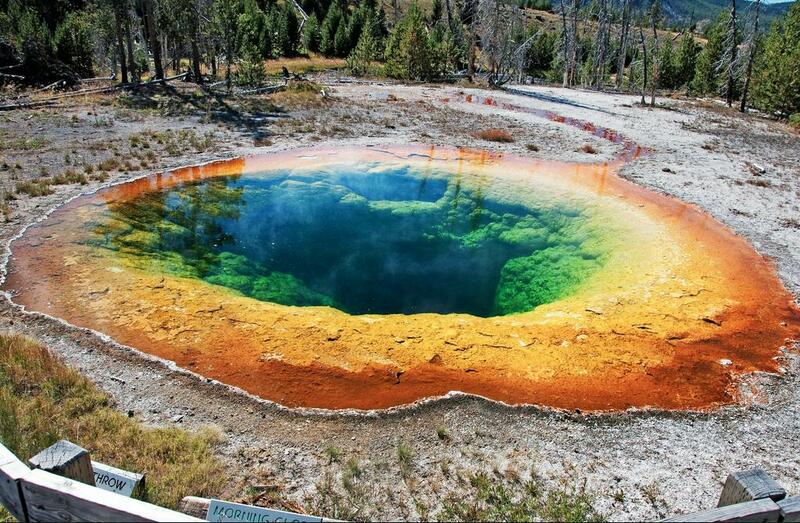 The water of the Morning Glory pool, for example, is filled with green, orange, and yellow shades, but what's unique is they have nothing to do with nature. Those colors only exist here because tourists have been throwing their garbage into the spring and blocking an underwater vent. So what would it have looked like if humans hadn't touched it? A deep, uniform blue. Sadly, that's not something we can see directly right now; the vents are so clogged with coins, trash, rocks, and other debris that even periodic eruptions haven't cleared them. 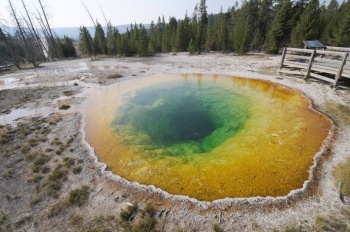 Instead, researchers from Montana State University and Brandenburg University of Applied Sciences in Germany generated mathematical models for the springs physical and chemical characteristics. "What we were able to show is that you really don't have to get terribly complex," said Montana State University professor Joseph Shaw. "You can explain some very beautiful things with relatively simple models." 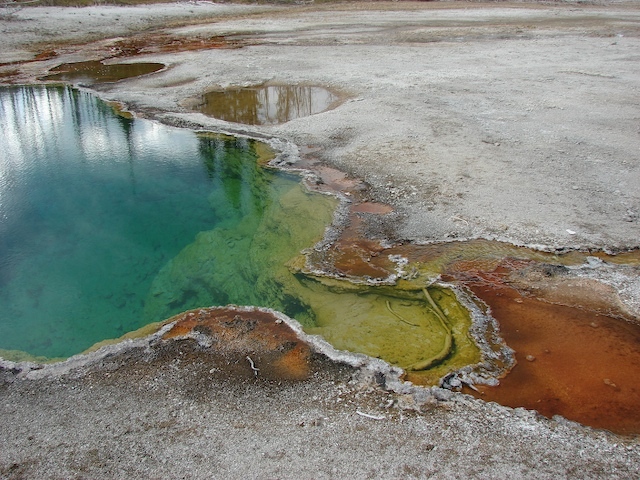 The water's colors are formed by microbial mats, a term used to describe layered groups of bacteria. When the thermal springs vents were blocked, it lowered the water's temperature, which changed the composition of the mats. But these models could be applied to Morning Glory from the 1880s to 1940s, when temperatures were much higher. The result was a blue that can only be seen in deeper waters thanks to how light scatters. The study's authors originally started this project for fun, but quickly realized there was very little research on the topic. Color changes like this allow scientists to quickly understand how bodies of water are changing at the bacterial level, which means this simple study could have bigger implications. "There are people at my university who are world experts in the biological side of what's going on in the pools," Shaw explained. "They're looking for ways to monitor changes in the biology - when the biology changes, that causes color changes - so we're actually looking at possibilities of collaborating in the future."